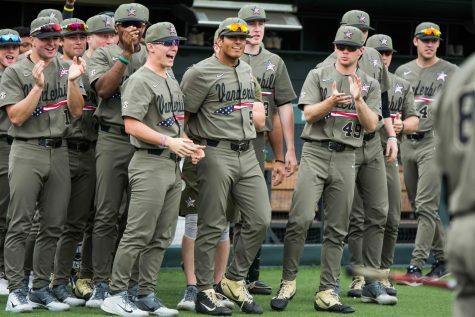 With the series knotted up at one apiece, the Commodores faced a tough South Carolina Gamecocks team with the hopes of winning the rubber match. Coach Corbin gave Mason Hickman the nod on the mount today and Hickman did his part–in six innings pitched, he may have let up seven hits, but they came at the cost of just three earned runs. 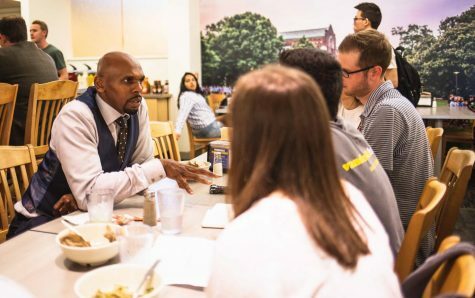 At the plate, Vanderbilt continued to show both discipline and intelligence. A few walks and stolen bases later, they found themselves up 4-0 in just the bottom of the second inning. As the game progressed, it proved to be a tale of two offenses. 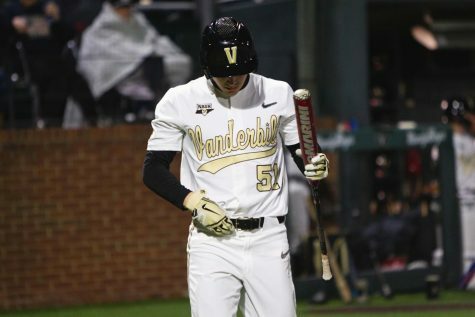 Both teams started trading blows starting in the sixth: South Carolina scored a run that was matched with a run of Vanderbilt’s own. Likewise, in the seventh, they scored three runs, followed by three more runs for the Commodores. 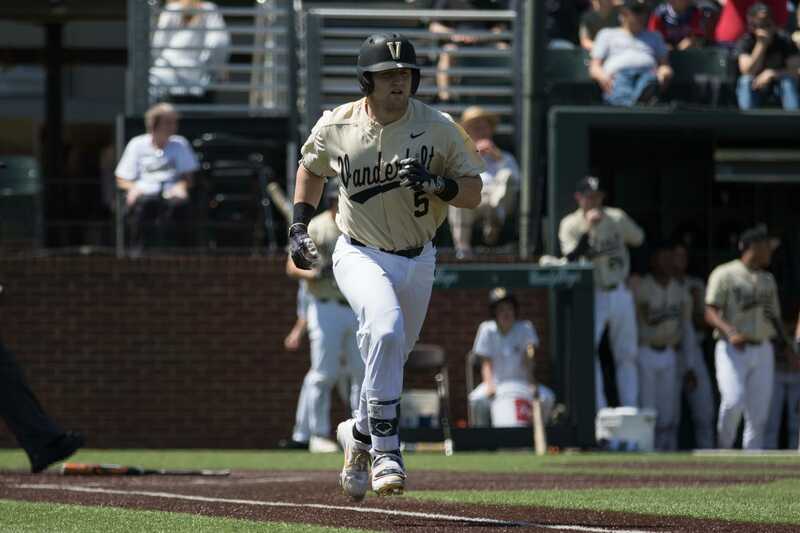 The bats of Julian Infante and Harrison Ray propelled the Commodores throughout the game. Infante, who has been hot this whole series, continued his rout by tacking on two RBI’s. That said, Ray may have been the true spark of today’s game: in the second inning, his sacrifice sacrifice ground ball led to an RBI, then his stolen base led to an errant throw and another run. He complemented these with a pair of doubles, good for three more runs batted in. Then came the Commodores bullpen. The bullpen didn’t look nearly as good as Hickman today: it took Hickman six innings to let up three earned runs, while it took Reid Schaller one inning and Aaron Brown just 0.2. In two full innings of relief, the combined effort of the bullpen managed to double Hickman’s run total for the day, allowing South Carolina to tie the game up at nine. After Chandler Day entered the game in the middle of the eighth inning, it didn’t take long for him to continue the trend. 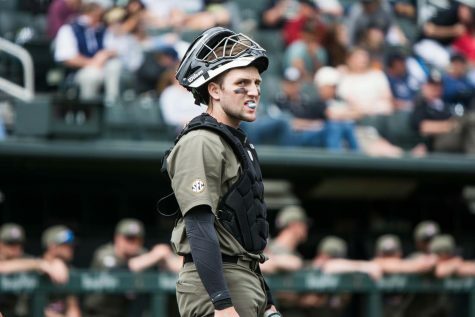 He started the ninth inning by plunking the Gamecocks’ Jacob Olson, who successfully stole second. At this point, with one out in the top of the eighth and the go-ahead run at second, Day decided to take a gamble: the result sums up the bullpen’s luck in this one, as his pick-off throw ended up in center field. Olsen advanced to third and all it took was an outfield pop-out for South Carolina to capitalize on the mistake and take a one-run lead. 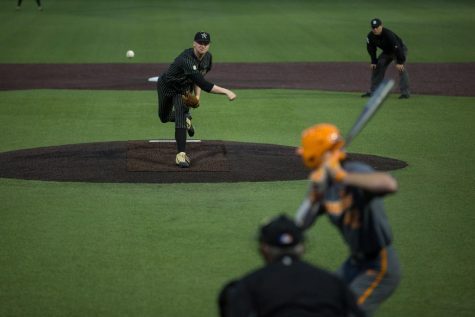 It seemed like the bullpen woes posed too tough of a task for the Commodores to overcome. When asked whether or not the loss can be attributed to the bullpen, Coach Corbin said, “We just couldn’t stop them. We got in our own way with the free bases. We have a very responsive team over across the street there. 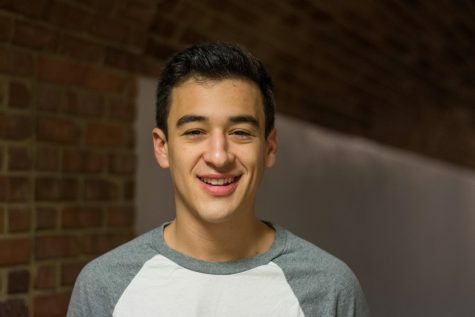 They were older, with about five seniors and a couple juniors, they respond well to these types of situations”. 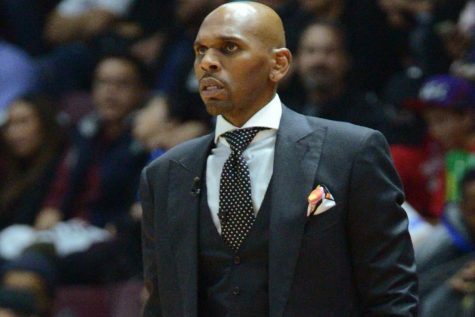 In fact, Corbin expressed more discontent with the Commodores offense. He spoke about stranding runners late in the game and attributed it to their inability to get “the timely hit. Demarco got jammed, ball flared into the outfield, the center fielder made a nice catch, then after that we took a called third strike and just struck out. So if you’re asking what, that’s it. No contact”. 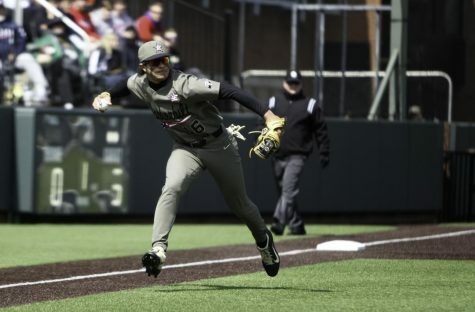 Their seven runs helped propel the Gamecocks to a 10-9 win in the rubber-match. 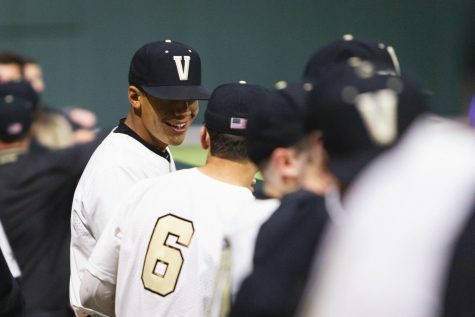 Next up for the Commodores is a home game against Louisville on Tuesday, May 1st.